You must make reservations at least 5 minutes in advance of the time at Sushi House. Ample free parking available in Town Center's lot in front of the restaurant. Party trays can be arranged for pick-up for any occasion. Special menus can be created for any event. 3 completely private Tatami rooms seat 6 comfortably (Western seating style but no shoes). Award-winning design is obvious in this 60-seat restaurant; upon entering, the simple storefront transitions into a warm contemporary environment. The restaurant was awarded 3½ stars out of 4 by the Kansas City Star. A full bar & menu of teriyaki, grilled salmon, noodles, tempura, bento boxes & sushi is offered for lunch & dinner. If you are craving either fresh sushi with premium sake, or a great steak & cold beer, you won't be disappointed. Take-out offered daily. Three private rooms, each seating 6, are available for business or social events. The restaurant offers free WI-FI high-speed Internet access for those important business experiences. Served Monday through Saturday 11:00 a.m. to 3:00 p.m. Served with Steamed Rice and Choice of Miso Soup or a Small House Salad. Wok Fried 4 oz. Chicken Breast with Panko (Japanese-style Breadcrumbs). Choice of Grilled Salmon with SH Teriyaki or SH Citrus Ponzu Sauce. Grilled Chicken Breast with SH Teriyaki Sauce. Grilled Mackerel with SH citrus Ponzu sauce. Shrimp and Vegetable Tempura, 2 Shrimp Dumplings and 3 pieces of Tuna Roll. Vegetable Tempura, Blanched Spinach with Sesame Dressing and a Cucumber Roll. 10 Hour Braised Pork Shoulder, Shrimp and Vegetable Tempura, and Cucumber Salad. Spicy Tofu and Ground Pork sautéed to perfection. This is very spicy! Served with Steamed Rice and Choice of Miso Soup or Small House Salad. Lightly Battered, Fried Shrimp & Vegetables with Dipping Sauce. Lightly Battered, Fried Vegetables with Dipping Sauce. Lightly Battered, Fried Seafood & Vegetables with Dipping Sauce. Grilled 10 oz. of Salmon with Citrus Ponzu Sauce. Grilled 10 oz. of Mackerel with Citrus Ponzu Sauce. Grilled 12 oz. Chicken Breast with SH Teriyaki Sauce. Grilled 10 oz. Salmon with SH Teriyaki Sauce. Grilled 8 oz. N.Y. Strip with SH Teriyaki Sauce. BBQ Eel over Bed of Steamed White Rice. Panko Breaded, Fried 8 oz. Chicken Breast with Katsu Sauce. Served with Steamed Rice, Miso Soup and House Salad. Grilled 4 oz. Steak Teriyaki, Shrimp & Vegetable Tempura & California Roll. Grilled 4 oz. Chicken Teriyaki, Shrimp & Vegetable Tempura & California Roll. Grilled 4 oz. Salmon Teriyaki, Shrimp & Vegetable Tempura & California Roll. Served with Miso Soup or Small House Salad. 2 pieces of each: Tuna, Salmon, Yellow Tail, Tilapia, Mackerel, and Sea Bass. 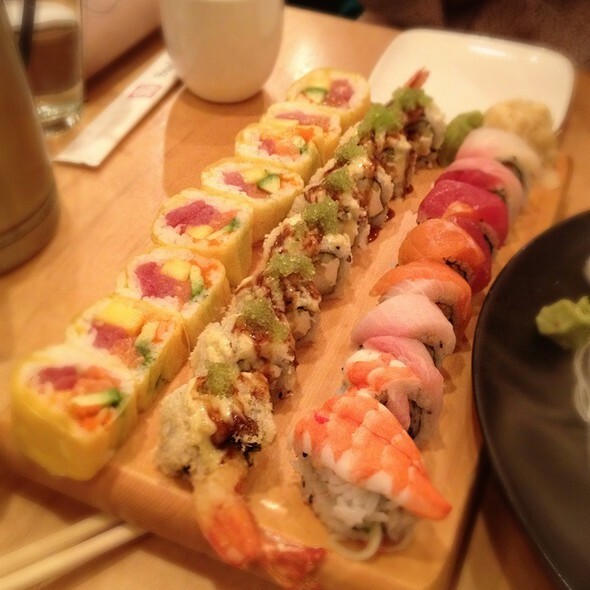 1 piece of each: Tuna, Salmon, Yellow Tail, Mackerel, Sea Bass, Tilapia, Shrimp, and a California Roll. 2 pieces of each: Tuna, Salmon, and Yellowtail. California Roll and 4 pieces of Sushi: Tuna, Salmon, Tilapia, and Shrimp. I had another exceptional meal at the Sushi House. I had the Sushi combination plate and everything was perfect about it. Everything always taste very fresh here, and it is prepared excellently. You will never go wrong when you choose to eat here. That is because the two main areas that always a concern when you go out to eat, are done just about perfect here. Of course the two main areas for any restaurant are the service and the food. If the quality of one of two is not same as the other it will be reflected on everything. The great thing about this restaurant is that both of those are always done in a very professionally, efficient method here. The service is always eager to help answering any questions about their meals, or need any suggestions. The service individuals are great to converse with. They talk to you, like you are a person, not a number. I have been to this restaurant several times, and I highly recommend this excellent. Wonderful food and even better staff. Best Sushi in Town !! Great food. Very intimate seating. This is such a great restaurant. The service and the food are always excellent. They both work together very well, and they compliment each other. The service always has great suggestions for anybody that might have questions about the menu. The food is always prepared excellently. It is always such a great thing to eat at this restaurant. The service is so fantastic. They are always exceptional, and very professional. All of the service individuals are very efficient also. I have been here numerous times, and I plan to continue eating here for a long, long time. I highly recommend this excellent restaurant. I love this place so much. Being a frequent traveler all over the world, I have pretty high standards for what to expect when trying out new places here in the US. Well Sushi House is by far one of the BEST Asian restaurants I’ve gone to in the KC, KS and KC, MO area! 5 stars all around!!! My friend and I have made this our home restaurant now for special occasions. I will continue to tell my coworkers and associates to visit this place. My experience has been nothing but excellent ! Fantastic sushi. the Lobster Roll and Roller Coaster Roll are amazing!! Sushi House is my favorite in the city! The servers are wonderful and the sushi is always fantastic. This is our favorite spot and Tad is the best server ever! So attentive and works so hard!! Always delicious food and impeccable service. Never disappointed. We love your restaurant and celebrate many birthdays & anniversaries there. This was only the second time we didn't reserve a tatami room (because my elderly parents can no longer get in & out of the room/seat without extreme difficulty). It was noisier than optimal because they're experiencing old age deafness, which is not an issue in the quiet of the tatami rooms, but once again the food & service were outstanding. Thanks again for another great evening! The food is always fresh and the service is spectacular. Arguably the best sushi restaurant in Kansas City. Superb service matched with superb food always fresh make an excellent restaurant. I love this restaurant. You can never go wrong ordering any item from their menu. Not only is the food very fresh and it is always prepared very professionally. If anyone has any questions about the food, the service people are very informative and they also have great suggestions for any occasions. The service people are always top notch. They are always very friendly with lots of knowledge about their products. It’s always great to have a friendly smile from their service people. Compared to other restaurants, the service people here do care about their customers and the meal(s) they ordered. It is much more fun being able to go out for meal and everything goes so great, and one doesn’t really have to worry about anything at all. This restaurant is always very efficient. It is always a great feeling to have an excellent meal here. I have been here numerous times, and I will always continue to enjoy eating here. I highly recommend this excellent restaurant. One of the best Valentine’s Day dates with my husband! We love Sushi House. Great service and very good, authentic, Sushi. Best sushi south of 435. Tat is the best waiter. Extremely helpful and very friendly. Everything about our dinner last night was great. Our server Tat was the best! My wife raved that he was the best server we have ever had. We enjoyed being in one of the small rooms with the quieter surroundings. 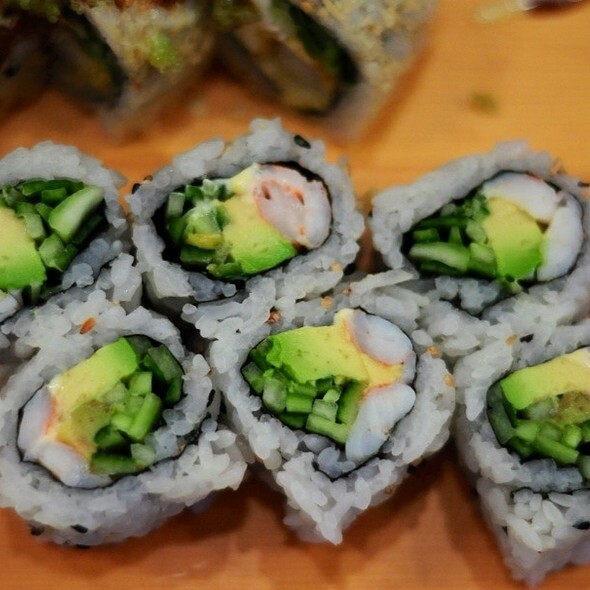 The sushi rolls were uniquely different from other sushi places. Thank you Sushi House for a great evening. We love the Sushi House. 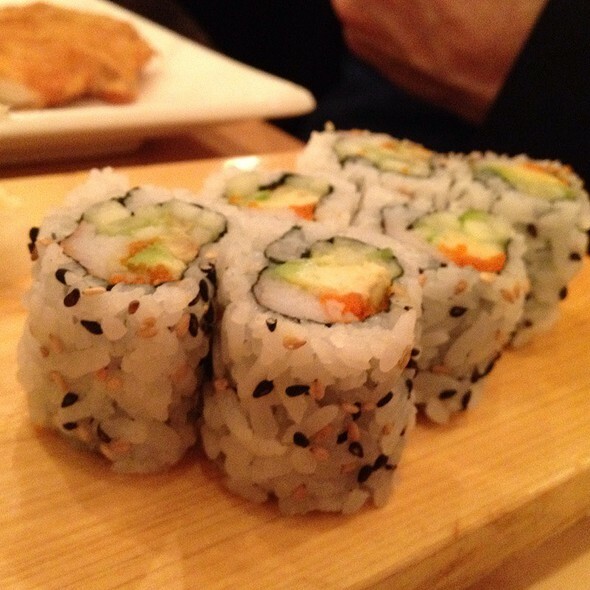 Friendly staff, cozy space and delicious sushi. 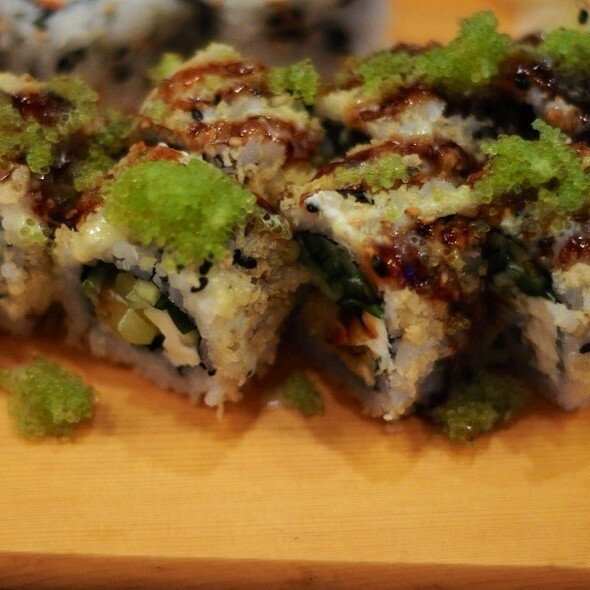 The Crunchy Roll and Spicy Temptation are our favorites. We are frequent guests and food and service have remained consistently excellent. 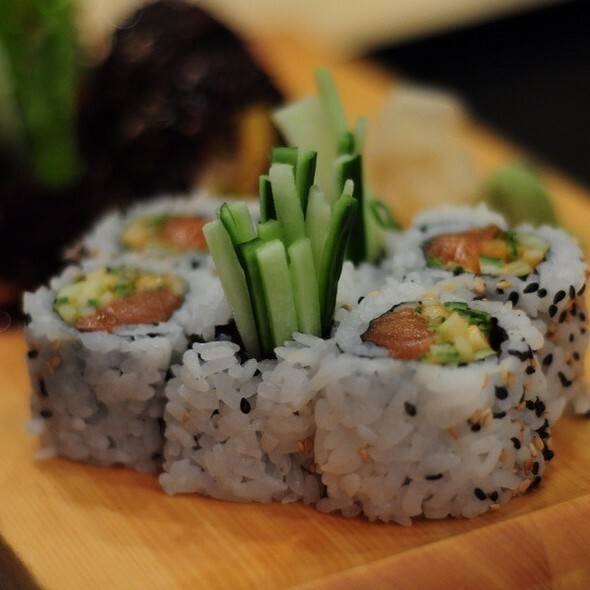 Good tasting fresh sushi, excellent service and many gluten free options. 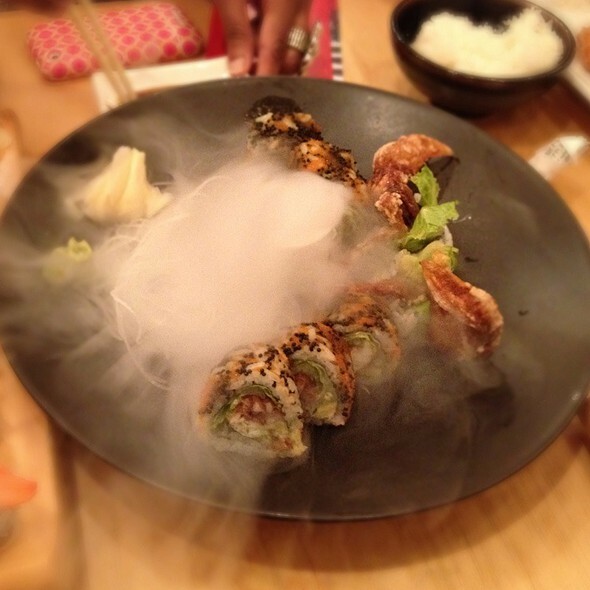 As well, they will modify dishes to make them gluten fee if they can (for example California roll with real crab). Simply just a great restaurant. At one point, a waiter dropped a full tray behind my chair. My coat was spattered with sticky liquid, which I didn’t notice until I put it on to leave. Our waiter tried to wipe it clean as we were exiting. Not a good solution. Fortunately, I was able to wash the coat to clean it. As an apology for the delayed food service, we were not charged for the two glasses of $8 wine, which I appreciated. I tipped our waiter over 20% for his effort, but I don’t think we will return any time soon. We had a great time. The food and service was fantastic. Every thing about this restaurant is spectacular. The service and the food are always as good as it can get. The service is very informative for any questions someone might have, and they have great suggestions. I really don’t have any reason to look for another Japanese restaurant, and I’m very happy eating here. I’ve been eating here for a long time and the service treats me exceptionally. Just like a person not like a number. Because of that, I really respect them. I can tell the service does value the customers, compared to other restaurants who forget their customers. I’ve been here so long the service knows what I drink, and what appetizer I get to start with. This place has great comradeliness and it makes the meal much enjoyable. I have, and always will, highly recommend this excellent restaurant. I know I can come here and enjoy myself without ever having to worry about anything at all. Service was a bit slow at first but got better. Dining area is rather small and was full for lunch hour, but that could be a good sign. Food was excellent. 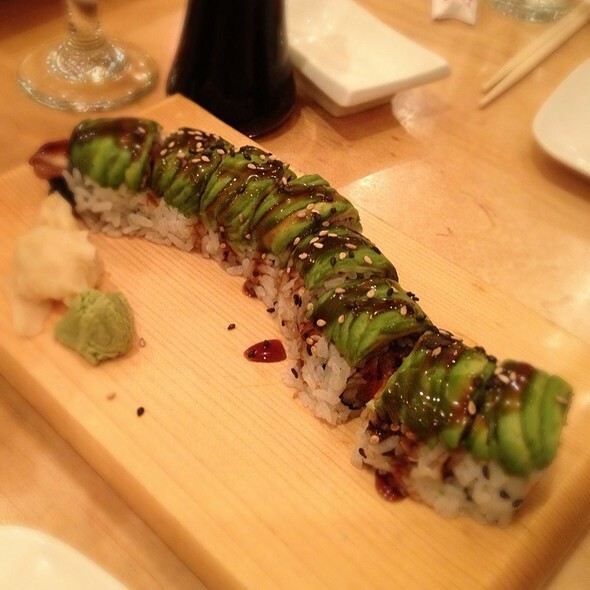 Sushi House is hands down our favorite sushi restaurant in Kansas City. The food is always fresh and the quality is amazingly consistent. We eat there at least twice a month. They have a great staff of long term servers who really personalize the service. 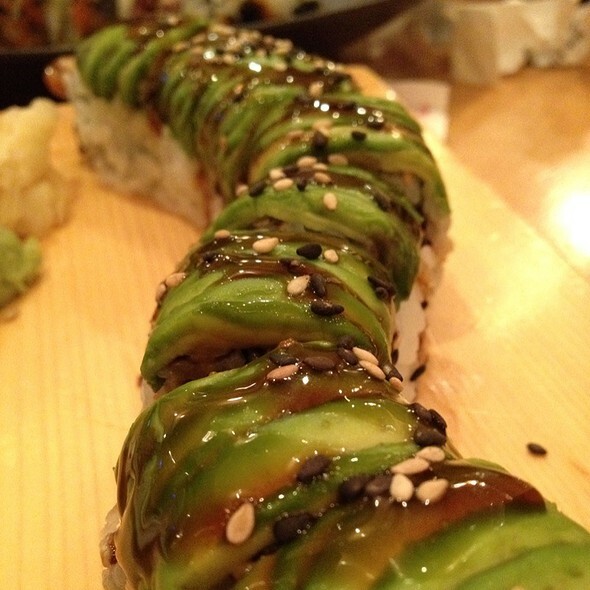 I’ve been going to Sushi House for years and have had an outstanding experience every time. The food is great, and the service is always exceptional. A go to for our family! The food is amazing and the service is the best! Food was good. I know it was a busy Saturday night, but the waitress never asked if we wanted refills of our cocktails, never asked us if we wanted dessert.. Service could be described as overly efficient. We were In and out in 45 minutes for dinner. We were not trying to rush we did not have to make a movie or anything. When I made the reservation I stated it was for a birthday, we did not want any freebies, but they could’ve at least said happy birthday to my daughter. We went for New Year’s Eve and had a room to ourselves. Food and drinks were great but my only complaint is not clearing the plates we were done with so we had room for the new ones coming. We were in a room so it was more difficult but we need room to enjoy it! It was celebratory busy night, and the service was outstanding again. I planned to eat here on New Years Eve later than I usually do and apparently other people did too. It was a great time for a meal at the Sushi House, but then again it is always a great time for a meal at the Sushi House. With the other busy tables around me, all the parts of my meal arrived in good times. I never had to worry about any part of my meal because it was always fresh and delivered in a good times. Even with the busy night I really enjoyed being there that night. Busy or not busy, I would highly recommend this restaurant for a great meal with excellent service. This is the absolute best sushi in KC! Love the small, cozy feel and the service was impeccable! Love Sushi House and the crew that works there. Quality food, atmosphere and people. This is a spectacular restaurant and they excel in service. Yes, their food is excellent and it always comes with great service. Sometimes they appear to be busy, but the service uses their time efficiently for each table and listens very attentively to each person for their selections. 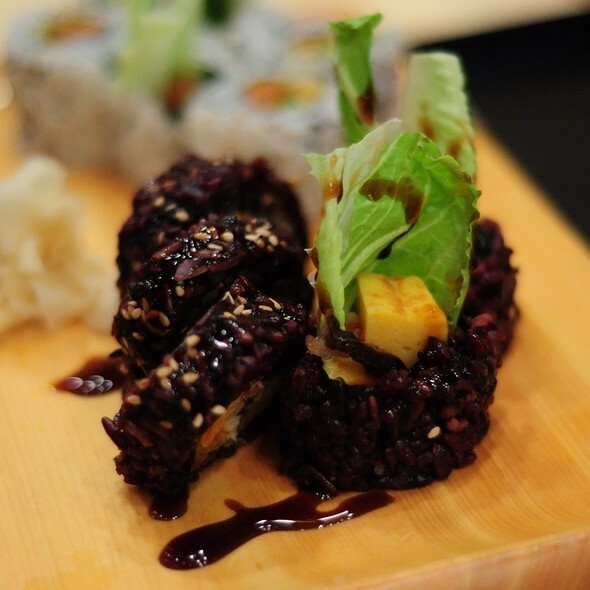 Being able to have great service with excellent food at the same restaurant doesn’t always happen everywhere, but the Sushi House is one of the places where it does happen. I would highly recommend this restaurant. Jerry (server) and Will (chef’s assistant) were great.